What online slots do we play (2) - Warlords: Crystals of Power - Casino Inside - The gambling industry magazine! One of the latest online slot games launched by the company Netent is Warlords: Crystals of Power, which features a fascinating story and exceptional graphics. The action takes place in mythical, storytelling times, when legendary fighters were disputing supremacy over land and riches. After years of wars, struggling battles, robberies and conquests, only three fighters survive: the Barbarian, the Priestess, and the Samurai. They are the three ones left in the battle and the ones who will fight the ultimate battleship to conquer everything and rule the world. 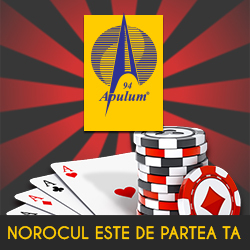 We tested this game at Netbet, the Casino section. The game has 5 lines (roles) and 3 columns, 30 combinations, wild symbols, scatter, re-rotation, free spins and a RandomWild. For each of the three heroes, the Barbarian, the Priestess, and the Samurai, there are assigned different free spins, and so the struggle between the three leaders begins. If two different Scatter symbols appear on rolls, 1 Scatter symbol is randomly chosen to turn to the other symbol so that both are identical before starting Re-spin (re-rotations). There is a 50/50 chance for the symbol to be chosen as Active Scatter symbol. If 2 Scatter symbols of the same type and a Scatter symbol of a different type appear on the rolls, the Scatter symbols will turn, after a battle, in the same type before starting Re-spin (re-rotations). In this situation, there is a 75% chance that the symbol with 2 Scatter symbols becomes the active symbol. If there are 3 different Scatter symbols on the rolls, the Scatter symbols will turn, after a battle, to the same type before starting Re-spin (re-rotations). In this situation, there is an equal chance that each of the three symbols becomes the active symbol. We played this game, we worked on this batch for about 30 minutes and it’s really exciting. Fun, engaging, enjoyable, reasonable gains, maximum fun. This online slot is accessible on your PC, tablet, mobile phone and it’s worth trying it out.